2000 Eliminator 260 Eagle XP It's never too soon to get started in the right direction. Eliminator makes it easy! The Eagle XP is in a class all its own. 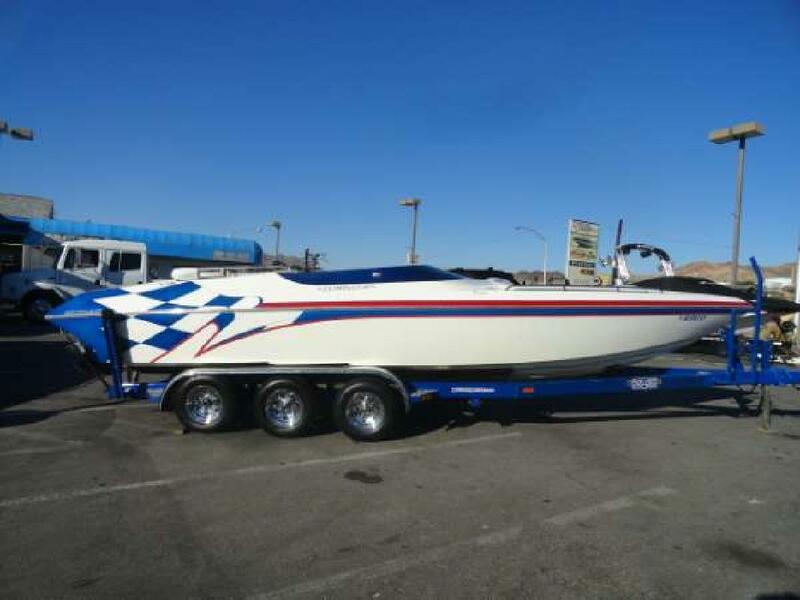 Featuring: Mercruiser 502 Mag MPI, 415 HP with Bravo One outdrive, 597 hours, full instrumentation, depth finder, Sony AM/FM CD stereo w/transom controls, glove box, power steering, carpet, cup holders, bimini top, power engine hatch, total of 5 batteries w/switch, EMI Thunder exhaust, stainless steel prop, full boat cover, and a triple axle trailer w/spare.